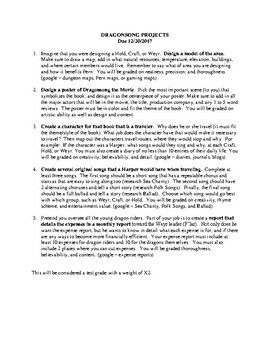 This is a multiple choice project for Dragon Song by Anne McCaffrey. This includes project instructions as well as grading rubric. 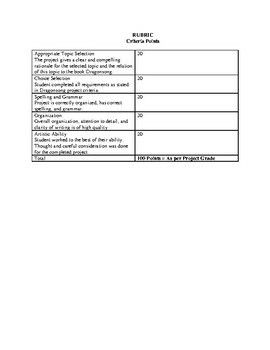 Note 1: This was used for High School Special Education English and can be easily be modified for higher level learners.